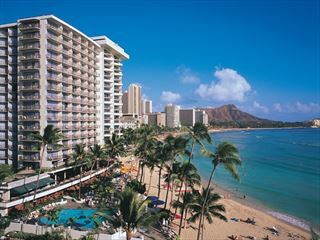 A comfortable hotel in the centre of the resort, offering excellent value and easy access to the fun of Waikiki Beach. Located on Kaiaulani Avenue, the iconic beach is just a few minutes walk, and the lively Kalakaua Avenue is mere steps away. A great value option in the centre of Waikiki, with countless restaurants, bars and shops within strolling distance, and Waikiki Beach just a 5 minute walk away. This hotel provides a great base for exploring the area, with comfortable and spacious guestrooms. 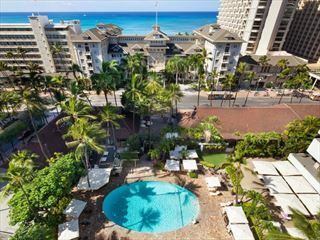 In the heart of Waikiki Beach, on the island of Ohau, this legendary historic ocean front hotel is often referred to as the “First lady of Waikiki”. 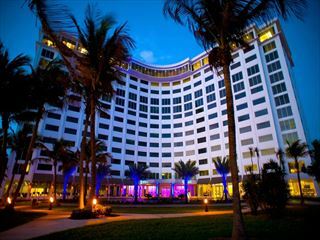 Step back into yesteryear but with all the comforts of the modern era, and enjoy the wonderful central location. The Outrigger Waikiki sits on the buzzing Kalakaua Avenue opposite Waikiki Beach on the island of Oahu. 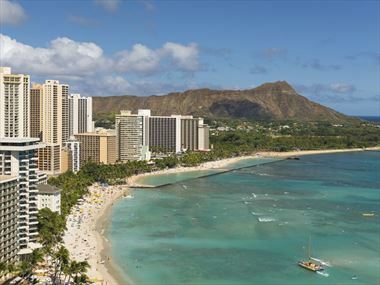 Book a room on one of the higher floors and enjoy marvellous views of Waikiki Beach and Diamond Head. Waikiki Beach is arguably one of the most famous beaches in the world. The cultural home of big-wave surfing and the playground of the rich and famous, holidays to Waikiki enjoy some of the best beach culture and water sports anywhere in the world. 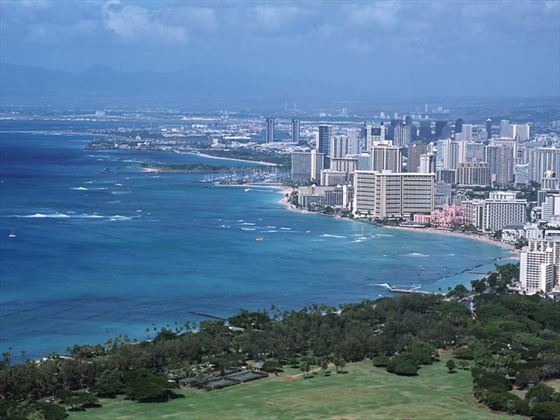 Located on the southern shores of Honolulu, Waikiki has an incredible blend of perfect beach, great waves and easy access to amenities, being a stone’s throw from promenades of shops and restaurants. Waikiki Beach has an excellent blend of attractions, with some incredible shopping outlets only a short walk from the impressive beachfront. Most of Hawaii has only two seasons – summer, from May to October, and winter, from November to April. With its warm and gentle trade winds, mild temperatures and sunny skies, Hawaii is an ideal holiday destination throughout the year. Generally speaking, Hawaii is tropical. The average temperature in the Islands is about 26.6°C, dropping to about 23.8°C during winter. The four-star Kauai Beach Resort is surrounded by exotic lagoons, cascading waterfalls and lush tropical settings. 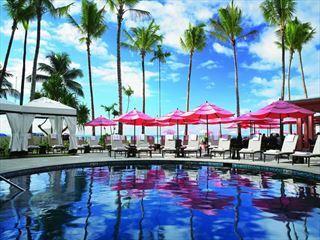 The four-star Sheraton Kauai Hotel is located on Poipu Beach and offers a range of single storey accommodation. Hawaii is popular for weddings throughout the year, particularly on Hawaii Island, or the Big Island as it is also known. American Sky’s Hawaiian Discovery tour takes in all of the islands, beginning in Honolulu and visiting all of the major attractions including Waikiki Beach. 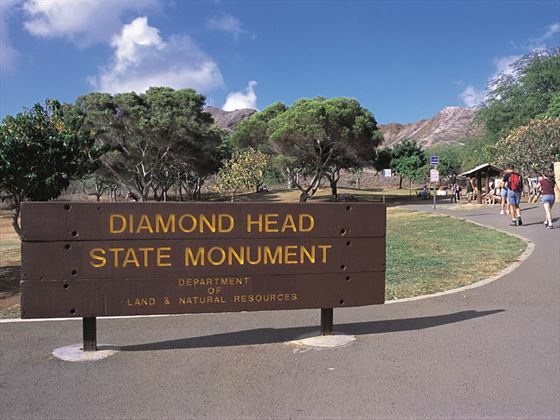 Hawaii-Kauai, Maui & Waikiki 10-night Multi-centre is an amazing tour that visits three islands in Hawaii including four nights at Waikiki Beach. 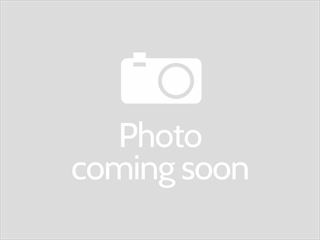 Planning a holiday to Waikiki Beach in 2019? 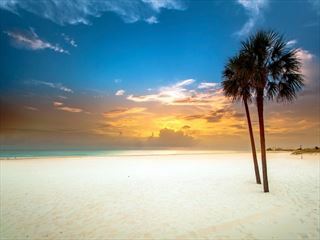 If you are planning a holiday to Waikiki in Hawaii in 2019, American Sky can help you to organise your perfect holiday. Call our Hawaii Specialists now and make the most of your next holiday. 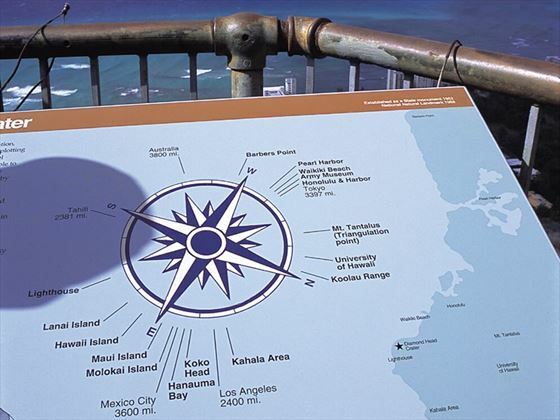 There are a wide variety of things to see and do whilst staying in Waikiki. Check out our travel guides for some of the highlights, top tips and travel inspiration from our American Sky Experts, along with some essential information you may need for your holiday.